BEIJING (Reuters) - With a shift in tone and language, China's central bank governor has dangled the prospect of speeding up currency reform and giving markets more room to set the yuan's exchange rate as he underlines broader plans for sweeping economic change. The central bank under Zhou Xiaochuan has consistently flagged its intention to liberalize financial markets and allow the yuan to trade more freely, even before the Communist Party's top brass unveiled late last week the boldest set of economic and social reforms in nearly three decades. But since the 60-point reform plan was released, Zhou has suggested urgency in pushing for change, although he has not provided any specific timetable. He promised on Saturday to "pull out all stops to deepen financial sector reforms". Dariusz Kowalczyk, an economist at Credit Agricole in Hong Kong, said the governor's comments could mean that the People's Bank of China (PBOC) will widen the trading band of the yuan in the near term. "That probably means there is more upside for the renminbi," he said. The yuan, also known as the renminbi, has risen this year to 6.09 per dollar from 6.23 at the end of 2012 and hit a record high of close to 6.08 in October. However, there was little evidence of any new found freedom for the yuan in trading on Wednesday. On the one hand, the central bank set its daily fixing for the starting point of yuan trade at a record high, but dealers said open market gains were checked by state-run banks selling the currency, probably on behalf of the central bank. In addition, the daily fixing has been consistently weaker than the spot market, indicating the central bank is trying to rein in the currency's strength. "The PBOC is still intervening heavily to prevent the CNY (yuan) from appreciating more," said RBS economists Louis Kuijs and Tiffany Qiu in a client note, referring to dollar trade inflows and speculation that are putting the yuan under pressure to rise. "Freeing up the currency would imply a very large appreciation versus the USD (dollar), something for which we believe there would not be appetite right now." Zhou's latest comments were released as part of a public guide book to the Communist Party's reforms, on sale in bookshops for 30 yuan ($5). At more than 300 pages, it provides the full text of the Communist Party's blueprint and an explanation of the changes by President Xi Jinping. It includes articles by top officials, such as Zhou. In the guide book, Zhou says the central bank would gradually expand the yuan's trading band to help make the currency more flexible and market-driven - comments that repeat a long-standing central bank position. "We will widen the floating range of the yuan exchange rate in an orderly manner and increase the two-way flexibility of the currency," Zhou was quoted as saying. To that end, the People's Bank of China will "basically" exit from regular intervention on the currency market, he said, going slightly further than in previous comments when he had said it would reduce intervention. For years, the central bank has bought up foreign exchange, mostly dollars, to curb strength in the yuan fuelled by the country's export engine, building the world's biggest currency stockpile of $3.66 trillion. Such currency intervention has been a key driver of money and credit expansion, fanning inflationary risks and housing bubbles. The yuan's trading band was last widened in April 2012 to allow the exchange rate to rise or fall 1 percent either side of the midpoint fixing announced daily by the central bank. "We must seize the favorable time window to quicken the pace of realizing yuan convertibility in capital account," Zhou said. Full convertibility would allow the free movement of capital across China's borders, a demand of many of China's trading partners. The central bank has pledged to make the yuan "basically convertible" by 2015, but it has not made clear what that means. Some analysts caution against high expectations for the speed of financial reform, noting some policymakers fear allowing the currency to move freely too quickly could expose the economy to volatile capital flows, such as the ones blamed on the U.S. Federal Reserve's economic stimulus program. "We will choose a time when conditions are ripe to life controls on deposit rates, which we think is the final step of liberalizing interest rates," PBOC Vice Governor Hu Xiaolian told a forum in Beijing on Wednesday. The reforms are aimed at helping Beijing engineer a shift in the giant economy away from investment- and exports-led growth to activity fuelled more by consumption and services. The OECD, in forecasting China's economic growth would pick up to 8.2 percent in 2014 from 7.7 percent this year, urged Beijing to quicken its reforms while growth is holding steady. "There is now a favorable window," the Organisation for Economic Co-operation and Development said in an update of its global forecasts. While the Communist Party leaders set the direction for reform in a four-day conclave that ended last week, it will be up to government ministries and agencies to put them into effect. The head of the country's top economic planning agency promised fast results in an interview with the People's Daily, the Communist Party's official newspaper. "We should quickly launch a batch of projects in financial, oil, power, railway, telecommunications, resource exploration, public utilities to attract private-sector investment," Xu Shaoshi, chairman of the National Development and Reform Commission said. Another senior official, Yang Weimin, vice head of the Office of the Central Leading Group on Finance and Economic Affairs, told a news briefing that reforms would help ease local government debt, although he didn't explain how. 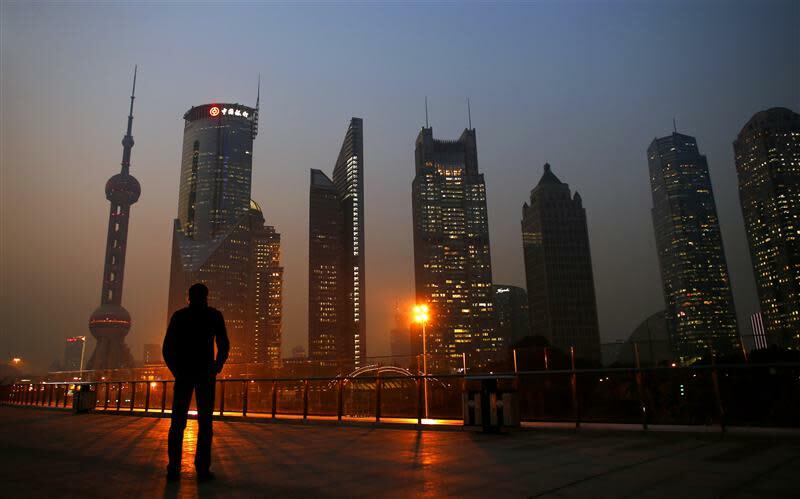 An explosion in local government debt accompanied Beijing's response to the global financial crisis and many analysts see it as a major risk hanging over the economy. Yang said the reforms would include more tax revenues for local governments, allowing qualified localities to sell bonds, and setting up a new policy bank to fund urban infrastructure and housing projects under Beijing's urbanization drive.